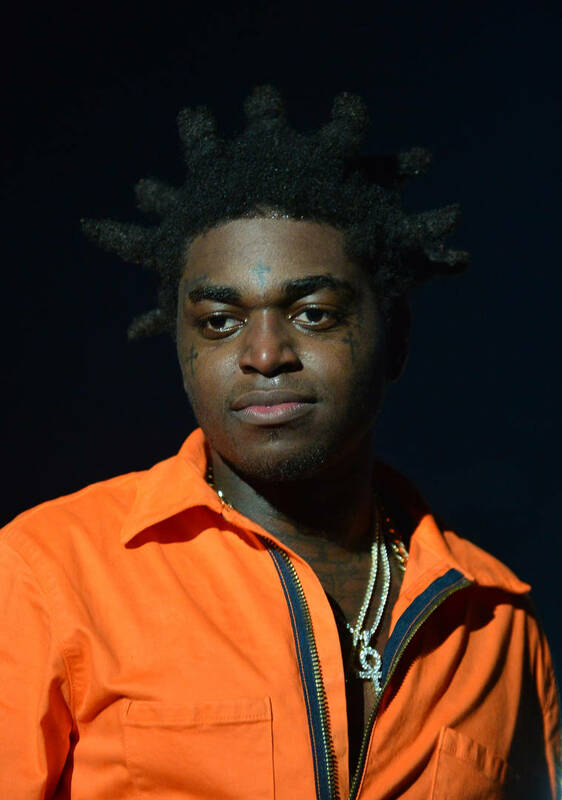 Home>Music> Kodak Black Instagram Comments: "Don't Come To LA" & "Career Suicide"
Over the weekend, Kodak Black used his platform with millions of followers to speak inappropriately about Nipsey Hussle's passing, shooting his shot at Lauren London. The move was unexpectedly low, even from somebody with as tainted a track record as Kodak Black. You would think that somewhere in that creative brain of his, an ounce of respect would be present but alas, it was not to be found during a dark time for most of the hip-hop world. Fans have been reacting negatively to the comments made on Project Baby's live-stream, calling for him to be cancelled and spewing hate in his comments section. On a recent upload that the Florida rapper made unrelated to the controversy, fans could be found swarming in to voice their own opinions, calling him out and ensuring that he becomes fully aware of the error in his ways. Kodak Black shared a photo of his outfit on Instagram, adding in the caption that he's "booted up in the worst way." Most of the people who slid into his comments chose not to acknowledge the content being presented in the actual photo, deciding instead to comment on the ludicrous remarks he made this weekend. "Nobody likes you anymore," wrote one fan while another opted to be more blunt, writing, "Career suicide, you got to be the dumbest person in the world." One commenter proved that they had taken the entire context of the situation into account, writing out a detailed message in his reply. "His apology wasn’t direct," said the fan about Kodak's "half-apology" to Lauren London. "He only apologized due to his label telling him to do so. It wasn’t an apology and being from the streets don’t mean you can continue to disrespect people calling that man 'Dude, etc' which supported Kodak and his album. The whole problem is @kodakblack bases his ideals and lifestyle off being solid and loyalty. Instead he has reflected other views with his actions and emotions for clout. So now he’s being called out for it like anybody else should." Of course, there are folks defending Kodak and noting that just a few days ago, people were calling for an end to all violent acts whereas now, Los Angeles natives are threatening Kodak if he ever decides to make it out to California. People are also pointing out that energy is being expended in the wrong places with one commenter asking: "How y’all more mad at Kodak than the dude that killed Nipsey." Others are busy banning him from the entire West Coast, writing, "LOL YOU DONE IN THE WEST!!! No flight ✈️ zone!!!" On which side do you stand on? MUSIC Kodak Black Instagram Comments: "Don't Come To LA" & "Career Suicide"